We specialise in well-considered food retail designs that showcase your product and add value to your brand. See our latest projects in Melbourne and Adelaide. The local grocer with the freshest produce. The best locally-roasted coffee beans in town. The only place to go for lemon gelato on a searing summer’s day. 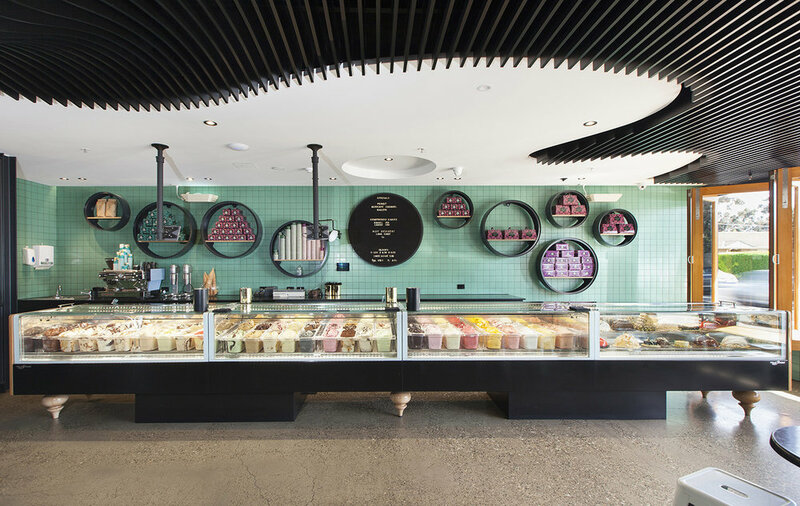 We create everyday food retail spaces that become intricately woven into the fabric of their surrounding community. Places that enable effortless interaction, ease and pleasure. When creating food retail designs, we look for innovative ways to showcase your product and add value to your brand. Stimulating inspiration and intrigue, we draw people in off the street and engage them in vibrant, inviting spaces that facilitate real community and connection. Every little thing is important, from when the customer walks in until they leave. With Eon Design, going shopping is personal and pleasurable – an experience that feels both comforting and exciting.